I find the word block in consensus decision-making destructive. It is particularly counter-productive when used to refer to all objections, rather than seemingly unresolvable objections. Objections do feel like blocks when after hours of discussion a person or persons will not consent — I find myself feeling this too. And sometimes when I object, in my gut I really want to block. I don’t want to argue the point, I just want to BLOCK. The problem is that when I use the word block, I create something fixed and hard. 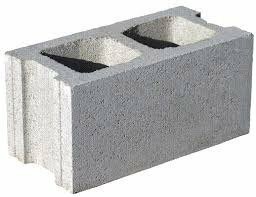 A cement block. A blockhead. To be blocked is to be stopped dead in your tracks. All reasoning stops. Most often block is used as an epithet and slathered with emotion. The idea of logical argument is lost. When I am tempted to accuse someone of using the word block, I am usually describing my feelings, not those of the other person. It’s my label. I created the block, not the person who is objecting. I’ve never heard person with objections say, “I’m blocking so forget it” or “I’m a blocker.” No one wears a T-shirt that says, “2011 World Record. Blocked 12 Decisions.” People who participate in groups that make decisions by consensus normally do want to consent. It’s uncomfortable to have to object, and emotions are unleashed obscuring the ability to argue logically. A true block is really a veto. It isn’t subject to discussion and resolution. It can be over-ruled but not resolved. Vetoes don’t have to be explained and are absolute. They are done. No discussion. Someone who vetoes an action is behaving as an outsider, not as part of the group. They are taking all power for themselves, leaving everyone else powerless. A veto represents power-over thinking, not power-with. A veto means the decision-making environment is no longer open to making a better decision—one that will allow address everyone’s needs and allow the group to move forward as a group. An objection means that a person cannot work enthusiastically and energetically toward the aim of the group if the proposed decision is accepted. An objector is allowed to say, “If you make this decision, it will negatively affect my ability to be fully committed the organization.” The task then becomes finding a reasonable counter-proposal. One that will resolve the objection and still meet the aim of the original proposal. Or find a way to obtain more information to test the objection—and to test the premise on which others are consenting. Consent also needs to be tested. A sole objector may be the person who has examined the situation more closely than those consenting. A question that also needs to be asked in consensus decision-making is whether there is a shared aim. If not it is less likely that an objection will be resolved in any meaningful or lasting way. It is more likely to become a veto. If a person is vetoing, then the group must reconsider its aim or the aim of the decision. If the aim is not shared by everyone, consensus is unlikely to be a workable method of decision-making. Participation in the process of working toward a shared aim distinguishes an objection from a veto.